Anybody sensible to the state of affairs on our planet will most likely agree that Barack Obama is the better choice as President of the United States for these coming four years. With Mitt Romney coming to power we pretty much can kiss the world goodbye. Not that I would have the illusion with Obama winning everything will be okay thereafter. However in my understanding, him being reelected will rekindle a shimmer of hope in these dark times we find ourselves living in. Hurricane Sandy, despite all its destruction and hardship has to be given the laurels of having shaken the American people back to their senses. New Jersey’s Governor Chris Christie is a prime example of that radical shift. Sandy has given President Obama one last chance to be recognized. Once again it became clear that Mr. Obama’s top priority is the wellbeing of all the American people, and beyond that of all world citizens. Knowing astrology all along I have been convinced that Obama would win the November 6 elections. I would like to show you how and why I came to this conclusion. 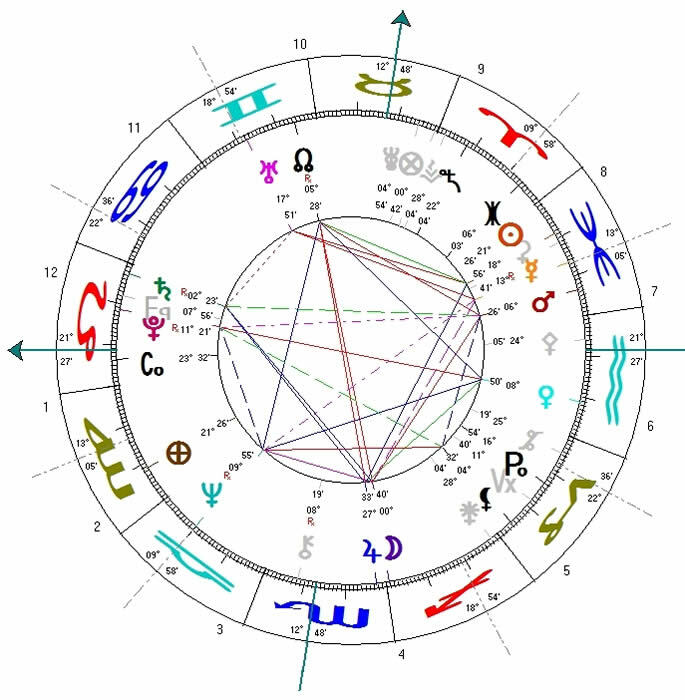 Obama’s birth chart speaks of a caring humanitarian leader (Venus in Cancer conjunct Vulcanus, Aquarius rising, Sun in Leo). Planet Mercury in Leo and the sixth house is the focal point of his chart, clearly revealing his intelligence and the ability to channel leading-edge solutions in complex and difficult environments (Black Moon in the seventh house, Hades in the third and Mars in Virgo at the cusp of house eight). With the Moon in early Gemini conjunct Kronos in the fourth house, he will be recognized as a wise and judicious ruler who cares for his homeland. Neptune in the ninth house is the highest planet in his chart, speaking of idealism, however also revealing that at times having to deal with overwhelming issues far extending his powers. 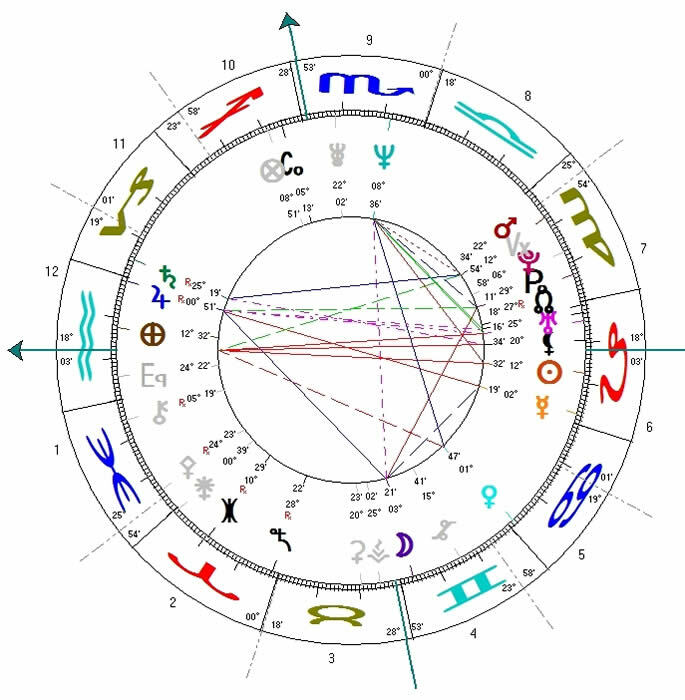 Overall this is the chart of an intelligent, enthusiastic and charismatic individual who will stand strong and focused in the tempests life’s path is exposing him to. I have rectified Romney’s time of birth, figuring that the Moon has to be in Sagittarius. Also the rising sign Leo makes lots of sense to me. 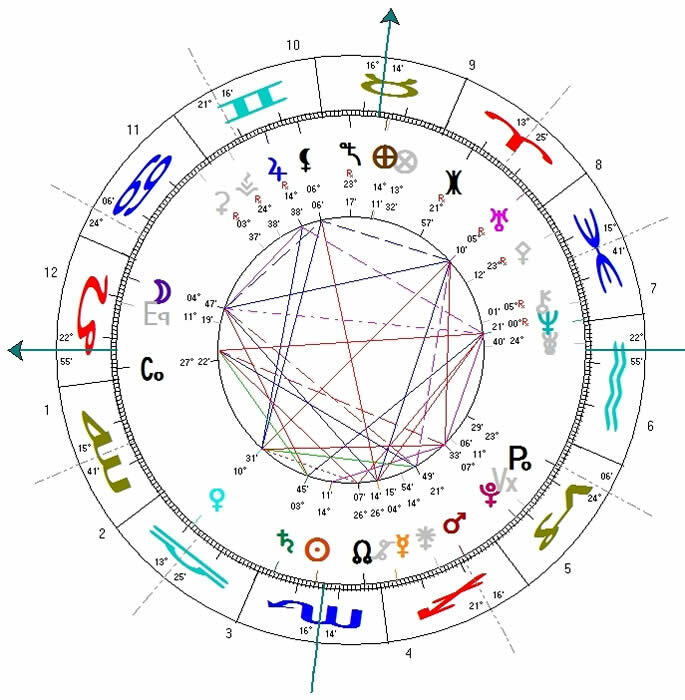 However for this short analysis of his birth chart I will stick to planetary positions in respective signs and the aspects formed amongst them. The Sun in Pisces, together with retrograde Mercury in the sign of Pisces already speaks volumes; indicating that he is a confused soul, not really knowing of what he got himself into here in this lifetime. The gifts of thinking straight and problem solving are definitely not his strongest traits. He may be an idealist but he lacks realism. The Moon conjunct Jupiter indicates him being born into a wealthy family, as well as his often presumptuous behavior typical of someone not in touch with the common man. There’s no doubt in my mind that Romney would make a terrible president, probably only surpassed by George W. Bush’s brightness. Every day, even every moment has its own unique – and never to be repeated – signature. Hence, which of the two candidates will be victorious has to emerge from the structural patterns of November 6, 2012. And then, this had to find support by what that day means for either of the two. Numerology: Every four years the first Tuesday of the month of November is traditionally Election Day in the US. This year it happens that the first 13 days of November are in sequence with the Mayan Dreamspell Calendar. November 1, is a 1-day (1 Caban – Red Magnetic Earth). The 13 days of the Caban wave are the beginning of a fresh 52-day cycle (Blue Western Castle), being the 13th of the 20 waves in the 260-day revolving pattern of the Tzolk’in. Caban is the cycle of dreaming, of envisioning creation. The 6th day of this cycle will be 6 Ik, White Rhythmic Wind. Along with the first and the eleventh day of any 13-day cycle, day 6 is empowered by itself, meaning that Wind, spirit, the unseen which holds everything together is penetrating the web of existence. Applying classical numerology, reducing month, day and year to basic numbers, November 6, 2012 reads 11-6-5, which adds up to 22, (or 2-6-5 which adds up to 13), which further can be reduced to a 4. Note that aside from the digits 1 through 9, the 11 and the 22 are the only double digits seen as archetypal, they’re called ‘master numbers’, indicating great gifts as well as great challenges. The 13 represents death and rebirth, and the 4 is down-to-earth and realistic, building foundations for a sustainable development. Astrology: What stands out is that planet Mercury is stationary on November 6, turning retrograde shortly after 6 p.m. Washington, DC time. The good news is that the election begins while Mercury is still moving direct. A rule of thumb is, the slower a planet moves the stronger its impact. Mercury is the planet of communications, information and human intelligence in general. Mercury is also known as Hermes, the messenger of the gods. In the Tarot, Mercury is represented by card one of the major Arcana, the Magician. Particularly when retrograde, Mercury also can act as trickster, throwing sticks into the fabric of time; delaying, disrupting or even deceiving. However, Mercury comes to a standstill at 4 deg18' Sagittarius, just two degrees shy of opposing the Black Moon. Mercury reversing its direction before touching the axis of Moon’s closest approach to Earth is a good sign. This could be read as having second thoughts before being engulfed by disintegration and chaos, as the axis of the Moon’s apogee-perigee is the gravitational center for dark and undigested emotions. Mercury's station falls into the 5th line of hexagram 34 (Great Strength, often meaning too much strength that is creating opposition, like a goat ramming its head against a fence). Within the context of this event, 'too much force' expressed in an unprecedented bombardment of the public by political ad campaigns. The fifth line reads: "One subdues oneself in order to end all confrontations. No remorse." This hints that now too much force should now be avoided, that difficulties can be dissolved by harmonious means. Furthermore, within less than two hours of Mercury’s change of direction, the Moon will reach its third quarter. The waning half moon will be right at the center of Leo; whereas the Sun will come to the 15th degree of Scorpio, bringing the Sun/Moon midpoint to zero degree Libra. The four directions of the cardinal cross are the main pillars of our orientation in space. Their activation indicates a realignment of earthly realms with cosmic principals, making this day stand out as a change of tide. While these important alignments occur the polls are still open. The waning half moon marks the turning point towards assimilation and understanding, representing a crisis of ideas and ideology, old assumptions being meant to be questioned and transcended. Now let’s have a look at the two candidates’ birth charts in the light of the November 6 election. There’s a number of different methods astrology applies in order to understand of how a certain day will be experienced. The transiting Moon is in Obama’s sun sign Leo, bringing his charisma to a glow. Further promising are transiting planets Venus and Jupiter, sextiling his natal Sun from either side, their mutual midpoint conjunct his natal Sun. Calculating the Davison time/space midpoint chart of Obama’s birth and election night reveals Moon/Neptune aligned with transiting Pluto right in his natal Sun/Moon axis, empowered by the aligning midpoint of transit Jupiter and natal Mercury. This alignment indicates overwhelming public sympathy. This is underlined by Davison midpoint Sun in applying conjunction with Davsion midpoint Jupiter in the early degrees of Aries, assembling right on his natal midpoint of Ascendant and Moon. What stands out is the transiting Black Moon conjunct his natal Lunar Nodes. This alignment was exact on October 31, days after Sandy had hit. The transiting Saturn/Pluto midpoint is lined up with his Nodal axis too. And then there is the Davison midpoint Black moon honing in on opposing Romney’s natal Sun. Based on all this, I am predicting a land slide victory for President Obama which will be shaking the Republicans to their marrow. In order to survive they will have to reinvent themselves.